Kollab's anti-Israel remarks were first tracked by the Canary Mission, a monitoring group which seeks to out anti-Semites. 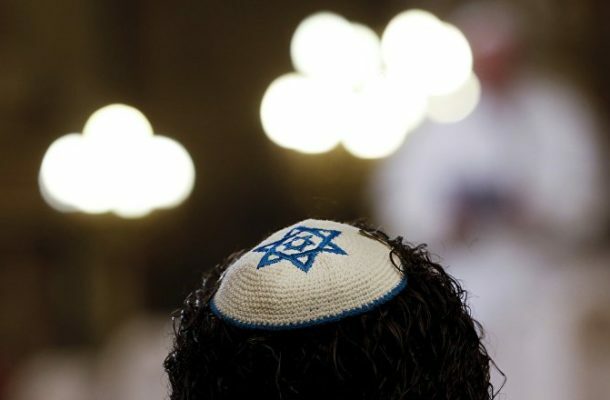 The group accused the woman of inciting violence against Jews, spreading anti-Semitic conspiracy theories and suggesting Israel is exploiting the Holocaust. A clinic in Ohio's second-largest city of Cleveland has confirmed that a female employee who posted anti-Semitic comments on social media had been fired, according to local media. "She is no longer working at Cleveland Clinic. In no way do these beliefs reflect those of our organisation. We fully embrace diversity, inclusion and a culture of safety and respect across our entire health system," the clinic said in a statement. READ MORE: Anti-Semitic Incidents Surge by Almost 60% in US: 'It's Not the Peak' — Prof. The former employee, identified as Lara Kollab, worked as a supervised resident at the clinic in 2018, between July and September. Her social media accounts have been deactivated since the clinic administration was made aware of Kollab’s anti-Semitic remarks, which were first documented by the Canary Mission and provoked predominantly negative reaction from Twitter users. — LORD SCREWTAPE (@screwtape1a12) 31 декабря 2018 г. — guns & moses,USA/IL (@Yracha2) 31 декабря 2018 г. Her license will be revoked within days. I hope she is forced to pay her med school tuition IN FULL & can be deported ASAP, & kept out of America FOREVER. — Blondini (@ln419) 1 января 2019 г. If the so-called medic who tweeted out this hate, Lara Kollab, would have any idea of how medical care is given in the Jewish State, without hate, without divisiveness, with love, dignity and compassion, maybe she would change her hateful view of Jews. — Michael Dickson (@michaeldickson) 1 января 2019 г. — Spinoza's rose (@Spinozasrose) 31 декабря 2018 г. — Bob Loblaw 190 (@bobLoblaw190) 2 января 2019 г. — Debbie Pozniak (@DebPoz) 2 января 2019 г. — Laura Rambeau Lee (@_RightReason) 1 января 2019 г. — Sarah (@shmeysarah) 1 января 2019 г. — Liberalslapper (@Liberalslapper1) 2 января 2019 г.
Kollab's comments specifically included threats to mistreat Jewish patients. "Hahha ewww.. I'll purposely give all the [Jews] the wrong meds," she wrote in a tweet dating back to 2012, according to Canary Mission.